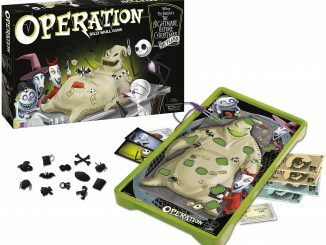 Are you looking for some fun games to play this Halloween? 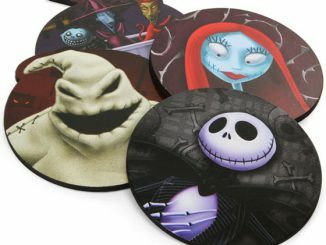 Or maybe you’re just a fan of the Nightmare Before Christmas and you want to get your hands on this Nightmare Before Christmas Travel Yahtzee Game before its gone. 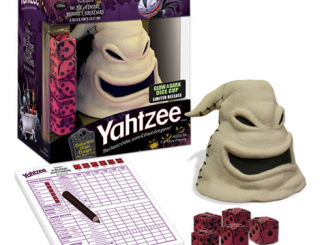 This cool rendition of Yahtzee is perfect for a cold spooky night of fun with friends. 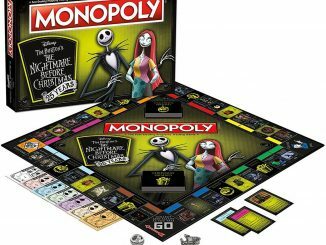 Enjoy the Pumpkin King himself – Jack Skellington, the Mayor, Oogie Boogie, and Sally as you roll the dice. 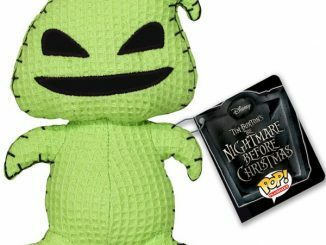 Play America’s all-time #1 dice game with a Tim Burton’s The Nightmare Before Christmas twist. 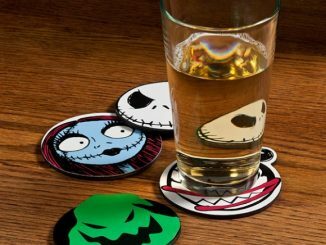 This travel-sized edition includes a customized dice cup in the shape of Jack Skellington’s head which stores all game components. 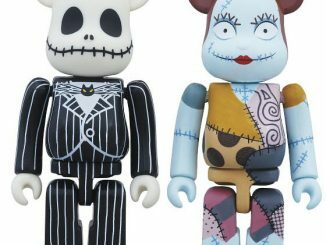 Custom dice feature frightful movie characters including the Mayor, Oogie Boogie, Sally and the Pumpkin King himself. 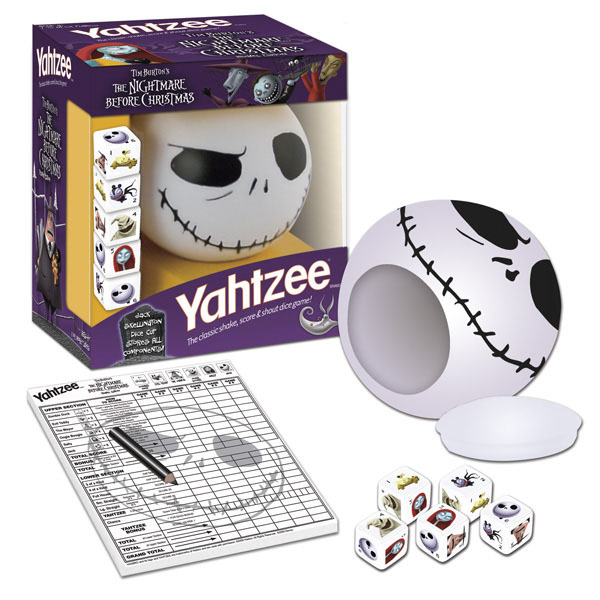 Roll the dice to make a winning combination like “Full House” or “Five of a Kind” – that’s YAHTZEE fun worth screaming about! 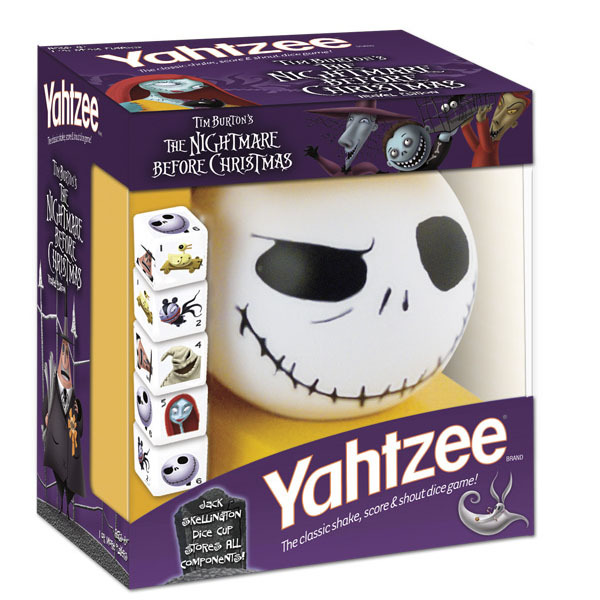 You can purchase the Nightmare Before Christmas Travel Yahtzee Game on sale for 50% off at Barnes and Noble for $8.47. 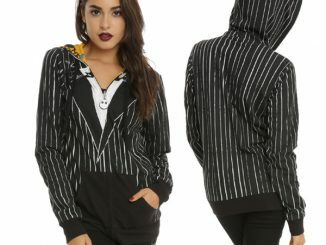 Update 2013: This is sold out most places, but you can find it at Amazon.com. 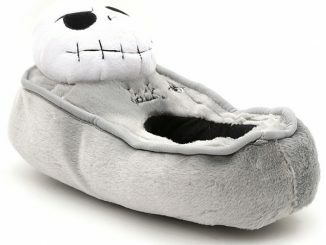 You cannot purchase this at Barnes and Noble, site says not available. 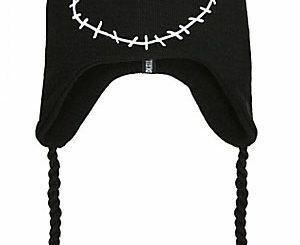 Yes, this post was from a couple years ago, and it looks like they don’t carry it any more. 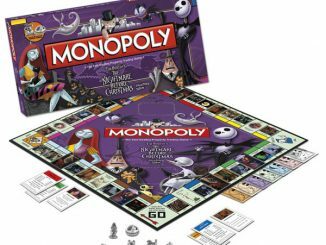 In fact, it looks like USAopoly discontinued this item, as it is not stocked almost anywhere. I added a link to buy it at Amazon at the end of the article, but beware it is expensive as the sellers are taking advantage of the lack of supply.